1 This guide will help you find the best pizza in Brooklyn — from Dumbo to Bushwick to Coney Island! 2 In fact, I would go as far as to say that New York City offers the best pizza in the world! 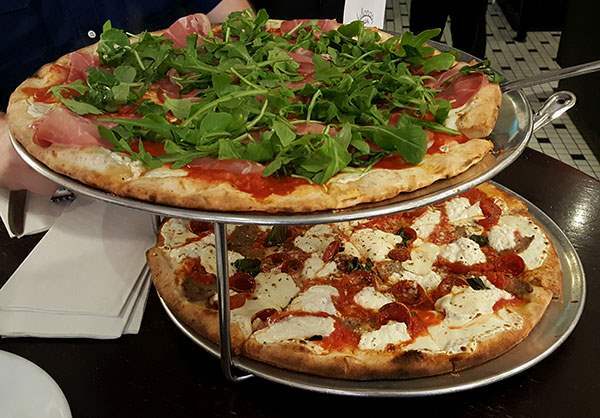 3 And because Brooklyn was once home to a sizable population of Italian-Americans, some of the best “classic” New York pizzerias can still be found in Brooklyn today. 3.6 Planning your NYC visit? 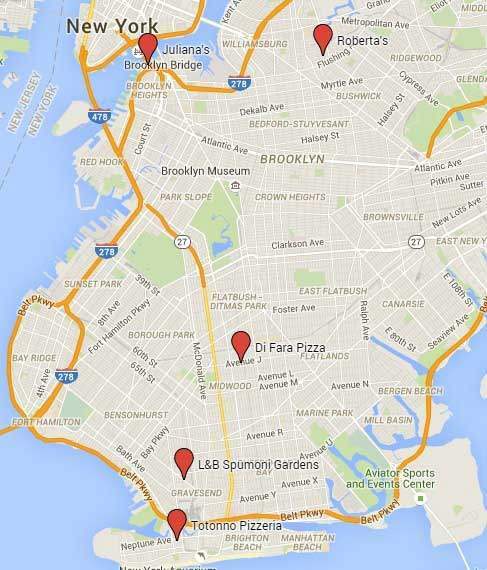 This guide will help you find the best pizza in Brooklyn — from Dumbo to Bushwick to Coney Island! When you think of New York City, what comes to mind? Quick! If the word “pizza” entered your mind, you are not alone. 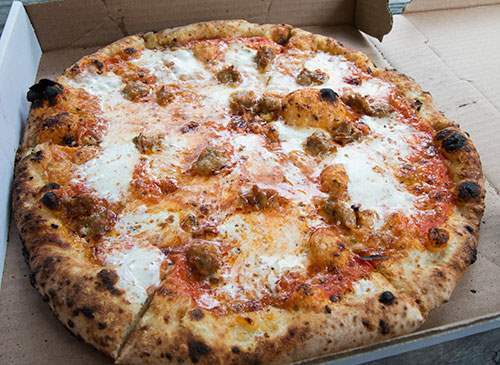 A lot of words are associated with New York, but pizza certainly ranks pretty high. And that’s because proper New York pizza is delicious. 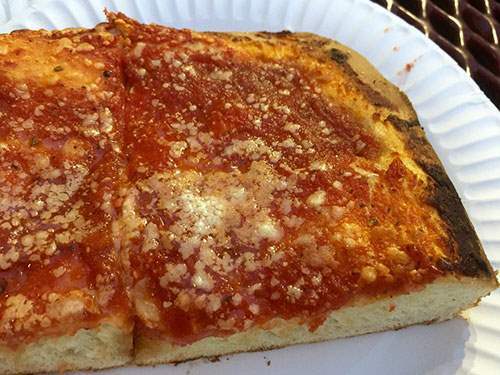 In fact, we’ve written about great NYC pizza before. In fact, I would go as far as to say that New York City offers the best pizza in the world! In the early 20th century New York City was home to more Italians than all of Naples. Many of these mostly poor immigrants from places like Sicily, Naples, and Calabria crowded into Manhattan’s densely populated “Little Italy” communities (of which there were at least 3 in Manhattan). 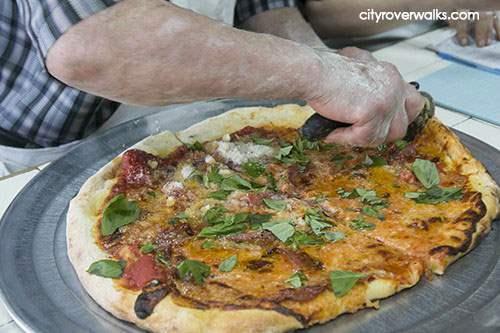 Some of these immigrants brought pizza-making skills with them to America. New York City tap water is consistently ranked as one of the best tasting in the country (watch out Maine, we are coming to get you!). Our water is considered the “secret ingredient”, since it goes into making the pizza dough. This is why you can take the best pizza recipe in NY to Florida or California, and the pizza just won’t taste the same (unless you manage to source a steady supply of our tap water). Now, did all those Italian immigrants stay in the overcrowded tenements of Manhattan’s Italian neighborhoods? Of course not. Would you want to remain long in an apartment of about 350 square feet with a family of 10 with no bathtub or private toilet in sight? They saved every penny to get out. For many, the first step on the ladder called the American Dream was to move to Brooklyn or the Bronx, and later Staten Island. If you really made it in America, you bought a house with a white picket fence, a large backyard, and a brand-new Cadillac in the driveway in a nice quiet suburb of New Jersey. Many stayed in Brooklyn, raised their kids there, and enjoyed life in tightly-knit Italian-American communities. Parents passed family businesses down to their children. In some cases, that meant neighborhood pizzerias. And because Brooklyn was once home to a sizable population of Italian-Americans, some of the best “classic” New York pizzerias can still be found in Brooklyn today. Closest subway: Q to Avenue J (1 block from Di Fara). About 30 minutes from Times Square station. Hours: Tuesday through Saturday: 12pm to 8pm; Sunday: 1pm to 8pm; Monday: Closed. Notes: Cash only; expect a wait. There are lots of pizzerias in NY. Original this and Best that. Some are so famous that tourists from around the world toting their Lonely Planets and Frommer’s form a line outside for an hour just to get in. But how many can claim to have the founder making every single pie by hand? Well, there is this one pizzeria in Midwood, Brooklyn called Di Fara. 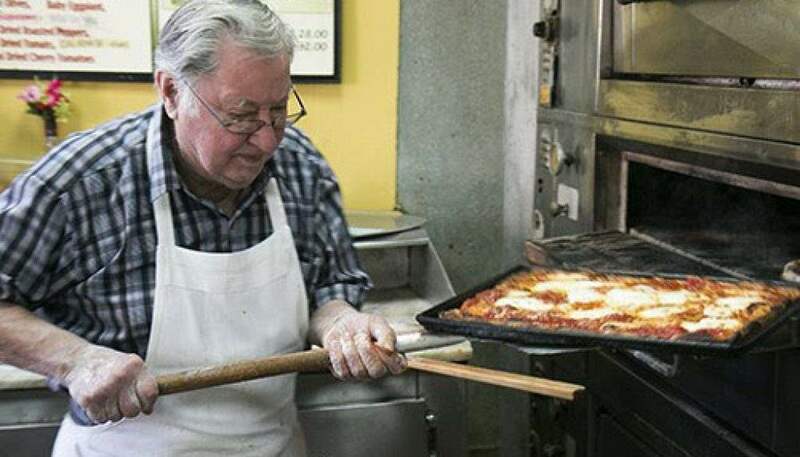 Di Fara Pizza recently celebrated its 50th anniversary, and for more than half a century one man has been personally making each mouth-watering pie by hand. Dom DeMarco emigrated from Italy in 1959, from a province just north of Naples. He opened the store on Avenue J on East 15th in 1964 with his Italian partner whose last name was Farina. Their accountant combined their two surnames to form “Di Fara” on the required paperwork. When Dom bought his partner out in the 1970s, he decided to leave the name unchanged. Dom doesn’t shake hands with customers. He is too busy making pizza. Most of the time, he doesn’t even lift his gaze to see the customers’ faces. His kids are there for that. Dom fathered seven children, and they’ve been his only employees. They take the orders, handle the cash (Di Fara’s is cash only, of course), deal with hungry & impatient customers, and refill his cheese, oil and basil stash. Dom is in his 80s now but continues to churn out anywhere from 100 to 150 pies a day. He only eats one meal a day – dinner – and that’s after he closes shop, which on many days is 10pm. That’s when he sits down for a meal and some wine. He has no plans to retire. He will continue to make pizza every day for as long as his hands and body hold up. Why retire when you love what you do? Why retire if you know nothing else in life? Can true artists ever retire? Dom’s hands are very large. They are the hands of someone who has worked with them every single day for more than fifty years. It appears as if his fingers are permanently stained white with flour. He moves around with a noticeable hunch, developed gradually over the decades of bending over each pie. Every few minutes, he opens one of the oven doors to either stick a fresh pie in there or to check on one already inside. For the latter, he sticks his large heat-immune fingers inside the super-hot oven to lift the pie and peak at its bottom for signs of readiness. He focuses on each and every pie — methodically performing each repetitive task like it’s the last pie he will ever make. He is in no rush, even if his sometimes impatient customers are. Italian arias provide some musical accompaniment in the background and several of his adult children mill around – some handling payments, some slicing the mushrooms in the back or preparing the Italian heroes. I probably echo every pizza fan in saying that I hope Dom will continue to make his pizza for a very long time to come. But all good things must one day come to an end. So take the Q train to Avenue J and get in line at Di Fara. It’s worth the wait. Waiting for a whole pie may take an hour or longer, so if you’re hungry, pressed for time, or don’t have the patience, ask Margaret (Dom’s daughter), or anyone else taking orders, if you can get an individual slice or two instead. Slices aren’t cheap here, but if you have time constraints, it’s the way to go. Closest subway: D, F, N, Q to Coney Island (10 minute walk from station). About 45 minutes from Midtown Manhattan. Hours: Open Thursday through Sunday: 12pm to 8pm. Closed Monday, Tuesday, Wednesday. Totonno’s Pizzeria Napolitana in Coney Island, at Brooklyn’s southern shore, can trace its origins to Lombardi’s Pizzeria (“America’s first pizzeria”) in the famous Little Italy neighborhood of Lower Manhattan. That’s because its founder, Anthony “Totonno” Pero, first worked for Gennaro Lombardi at the turn of the 20th century. 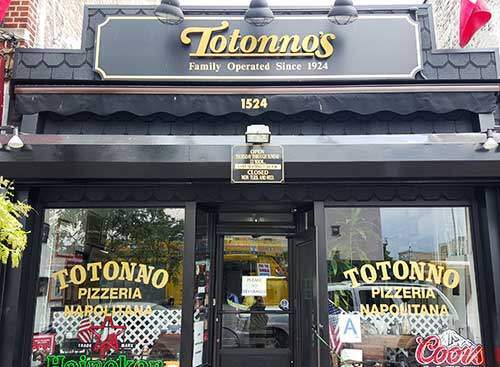 Totonno’s opened in Coney Island in 1924 and has remained in the same spot and the same family ever since. That’s over 90 years of making great pizza in one place! Totonno’s grandchildren continue to run the business, making it one of the oldest continually run, family-owned pizzerias in America. As you can imagine, a place that’s been around for nearly a century (and survived 2 fires and severe damage from Hurricane Sandy in 2012) does not stray too far from tradition. The dough is made daily and never refrigerated, the mozzarella is handmade, and the finest ingredients are imported from Italy. As all proper “old school” pizzerias, Totonno’s is cash only, but the prices won’t break the bank (about $20 for a large pizza). Once inside, check out the faded old newspaper article framed on one of the walls. It’s from the Daily Mirror, printed on August 13, 1945. The bold headline reads: “Truman announces: WAR OVER”. Closest subway: D to 25th Ave; F to Avenue U; N to 86th street. About 35 minutes from Midtown Manhattan. Notes: Cash only. Indoor and outdoor seating. Here is another South Brooklyn classic with a Neapolitan immigrant story (notice a trend here?). What started out as a humble horse and wagon operation Ludovico Barbati in the late 1930s has been an area staple for thick Sicilian-style pizza slices and delicious spumoni (a type of Italian ice cream). It remains owned and operated by the Barbati family and serves loyal customers who have been coming here for generations (even if they no longer live in Brooklyn). Take a subway ride to South Brooklyn, bring some cash, and get a slice (or two) of their thick square Sicilian pizza ($2.75 per slice). But leave room for a spumoni to go. Then, if the weather is nice, walk to the F stop on Avenue U and take it to Coney Island – the end of the line (a short ride from Avenue U). 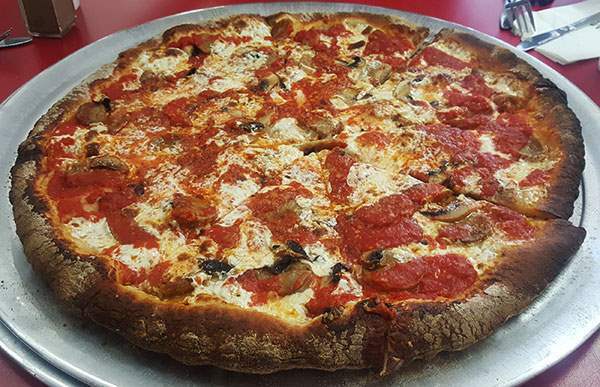 Burn off some calories with a stroll on the Boardwalk by the ocean, perhaps take a ride on the landmark Wonder Wheel (circa 1920) during the warm months that it’s open, then stop by Totonno’s for more pizza-tasting. Closest subway: F to York Street or A/C to High Street. About 20 minutes by subway from Midtown Manhattan. Or take the NYC Ferry to Dumbo. Notes: Credit cards accepted. Expect a wait during peak lunch and dinner hours, especially weekends. Alternatively, call ahead for a take-out order and take the pizza to a bench in nearby Brooklyn Bridge Park. Juliana’s has the juiciest backstory. Originally called Patsy’s Pizza, it was founded and operated by Patsy and Carol Grimaldi in a converted old hardware store in a seedy formerly industrial waterfront part of Brooklyn. The restaurant eventually became “Grimaldi’s” and continued to crank out classic New York-style pizza made in a coal-fired oven for loyal customers until Patsy and Carol sold the business to a long-time customer in 1998 and retired. They also sold the rights to the name “Grimaldi’s”. The new owner stayed in the same location for another decade until moving to a much larger building spitting distance from the original. He took the name with him, and the line of tourists just shifted a bit. 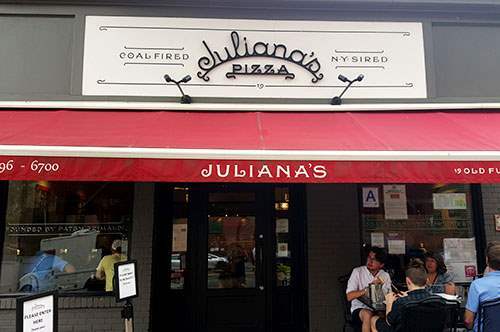 That’s when Pasty and Carol Grimaldi, sensing an opportunity (and perhaps itching to get back into the pizza business) came out of a 12-year retirement and opened Juliana’s Pizza in the now vacant original location. They couldn’t use their last name, so they named the restaurant in honor of Patsy’s mom. Patsy (his wife passed away a couple of years ago) remains an active presence in the restaurant and in front of the coal-fired oven many nights of the week, despite being in his mid-80s. Like Dom DeMarco (Di Fara’s), Patsy loves what he does and is a perfectionist. The area where Juliana’s is located is no longer a run-down old industrial area. It’s now called DUMBO (which stands for “Down Under the Manhattan Bridge Overpass”) and is one of the most expensive neighborhoods in New York City. Juliana’s Pizza now neighbors the beautiful new waterfront park called Brooklyn Bride Park, with a popular NYC Ferry service that brings locals and tourists in and out of the area via the East River. 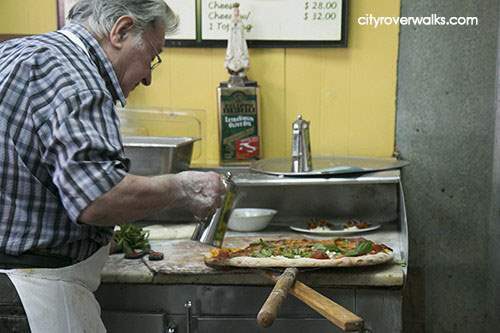 But while the neighborhood has changed drastically in the 25 years since Patsy opened his first restaurant on Old Fulton Street, he is proud to make New York pizza the old-fashioned way – the way his uncle, Patsy, made it 80 years ago in East Harlem. As an aside, if you’re interested in exploring and learning more about Dumbo, Brooklyn Heights, and the Brooklyn Bridge, checkout out our private 3-hr walking tour over the Brooklyn Bridge and into Brooklyn. We also offer custom private tours of Brooklyn, as well as customized NYC food tours (we know the best spots in NYC for pizza, coffee, bagels, and more!). Notes: Credit cards accepted. Expect a wait during peak lunch and dinner hours, especially weekends. I saved Roberta’s for last because it’s different. It doesn’t have a storied history at the same location from the days the Dodgers still played in Brooklyn. It’s not a traditional Italian-American family business. And it is the opposite of a classic “old school” pizzeria in almost every way. Roberta’s opened in 2008 by 3 young men who wanted to make pizza and offer a laid-back vibe in a still ungentrified, largely industrial section of Bushwick. These days, Roberta’s draws a crowd and the area around it is one of the most popular destinations in New York City for street art. So be prepared to wait a while to get a table inside the dimly lit space. But on a nice day, order your pizza as “take out” instead and grab a spot on one of many picnic tables in the huge outdoor space just next door to the main restaurant. Get a beer, wine, or cocktail from the outdoor bar while you’re waiting for you pizza and enjoy an eclectic music mix that on my last visit included Britney Spears and Marilyn Manson! 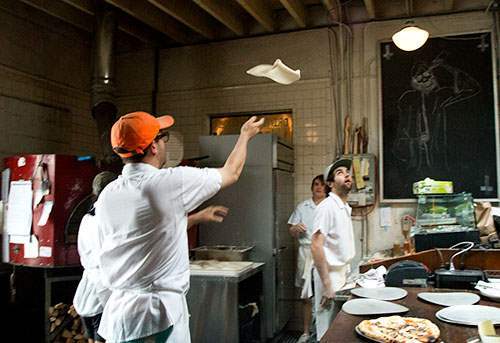 The staff at Roberta’s cranks out delicious pizza using wood-burning ovens. You might even see them tossing dough to each other as you wait in line for a table. Click here to get on our email list, and we’ll send you 5 of our super-helpful NYC guides and suggested itineraries for free! Plus, we’ll send you an exclusive $20 off code your first private tour.